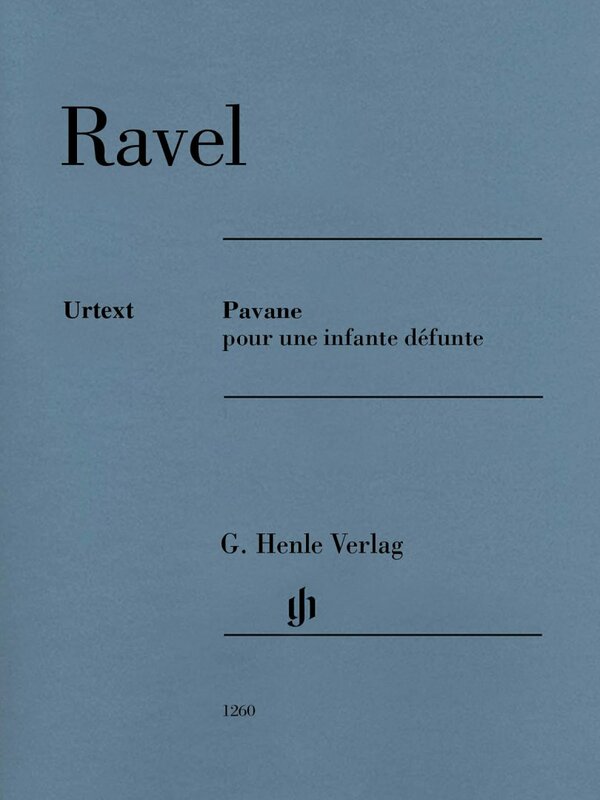 According to Ravel himself, the strange title of the little piano piece composed in 1899, “Pavane for a dead princess,” should not be ascribed too much importance. He chose it mainly because he liked the alliteration it contained. At the same time he did, however, agree that the music evokes “a pavane that a little princess once might have danced at the Spanish court.” Following its premiere in 1902 the simple but effective piece gained unparalleled popularity, not least reflected in the numerous arrangements made of it, one of which, for small orchestra, was by Ravel himself. Henle publishes the work in its original version.